Ellen is one of those people that just make me laugh, no matter what it is that she says. Reading her book was no different. I had to stop myself from laughing out loud in public places. This is just a cute, goofy book, that is a great way to pass time if you enjoy her humor. 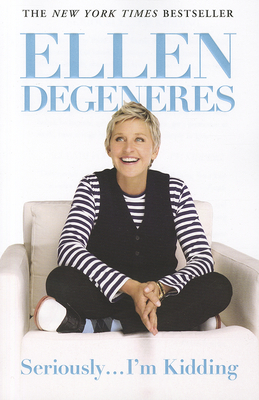 Ellen seems to be telling parts of her story, some of which I still do not know if they are true. The book is compiled from short journals, stories, and other forms of her writing, that don't always make since, but still entertain. If you are looking for a quick, entertaining book, you need to pick this one up!